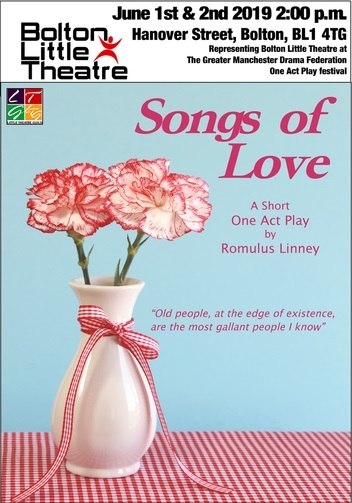 "Songs of Love" is a warmly comic study of two doughty nursing home residents who decided to marry despite the explosive reactions of their money grabbing children." Audience members will be welcome to stay for tea and cake after the short production.. Performance is 30 minutes approximately. Donations would be appreciated to support the venture.